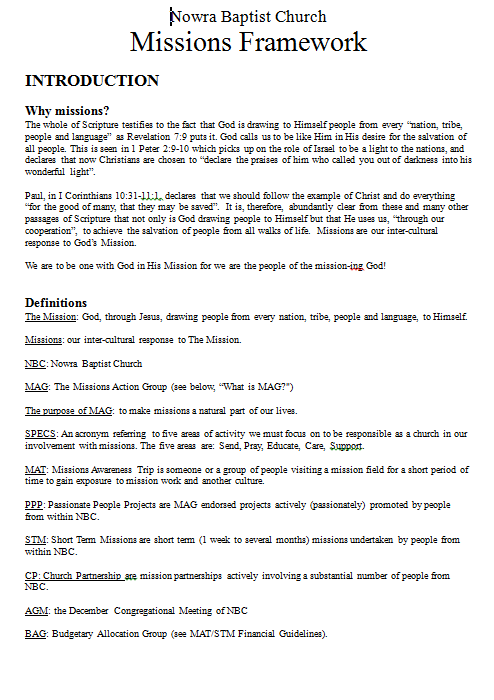 Nowra Baptist Church Missions Framework is a document outlining the rationale for and operation of its global mission endeavours. It is deliberately called a framework so as to not be restrictive of our practices, acknowledging that we often need flexibility within already agreed on boundaries. Click on the picture to view and download. 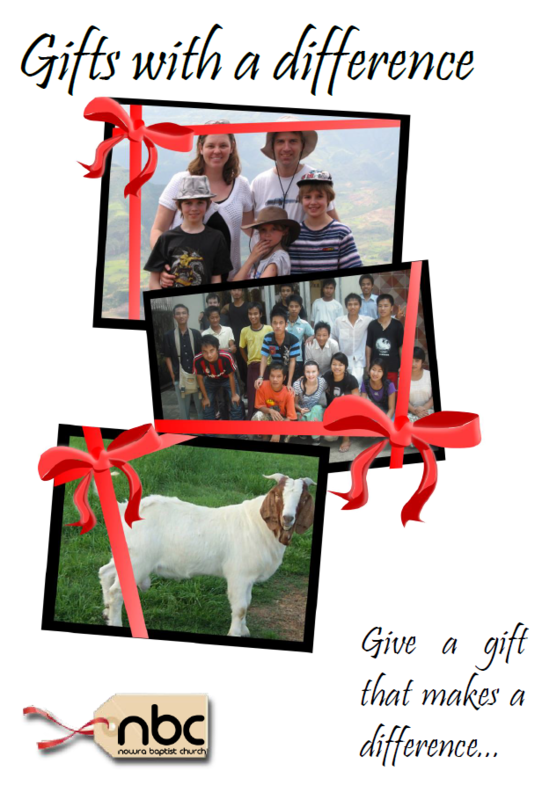 Nowra Baptist produces an annual Gifts With A Difference Christmas gift catalogue to promote its missionaries, projects and partnerships. Click on the picture to view and download. 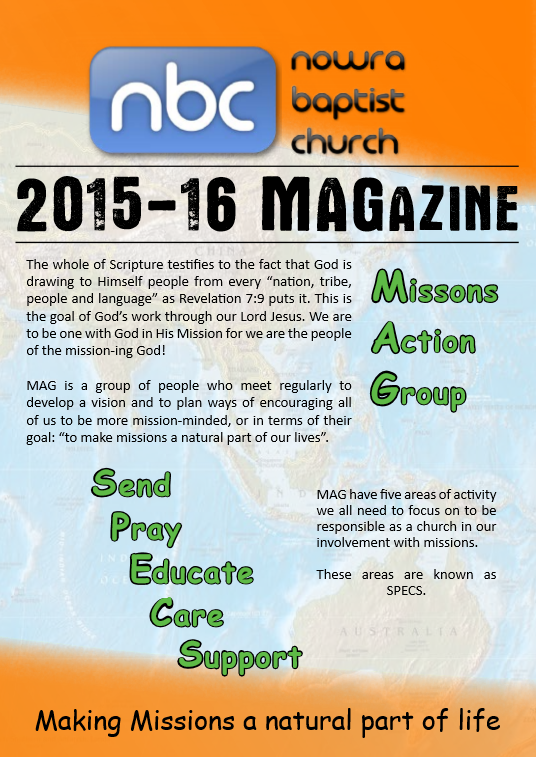 Nowra Baptist produces an annual MAGazine to promote its missionaries, projects and partnerships. Click on the picture to view and download.